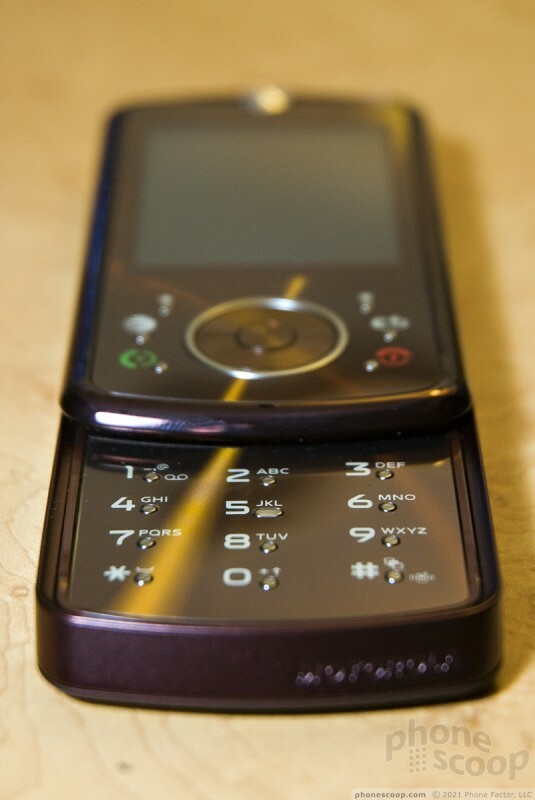 Motorola's Z9 is essentially a slider version of the RAZR2 V9. The styling and features are very similar. 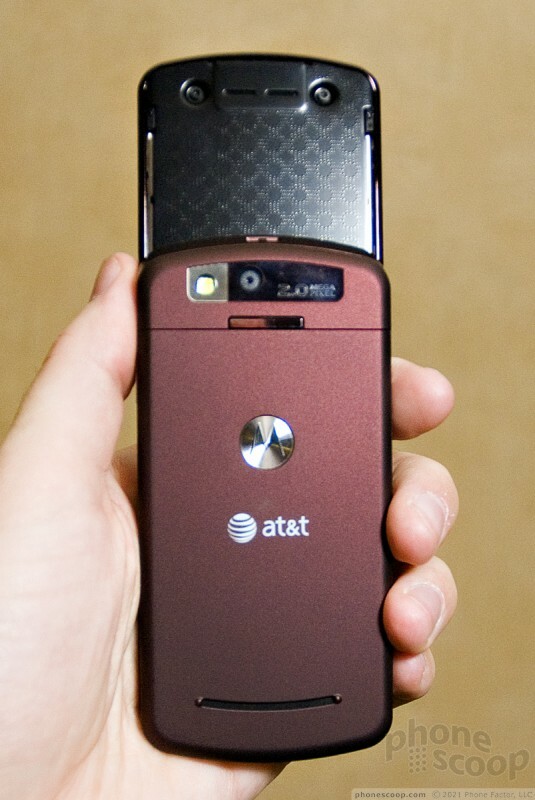 AT&T has a North-American exclusive on the Z9, and they will be offering it in the same "mahogany" color as the RAZR2 V9 they currently offer. 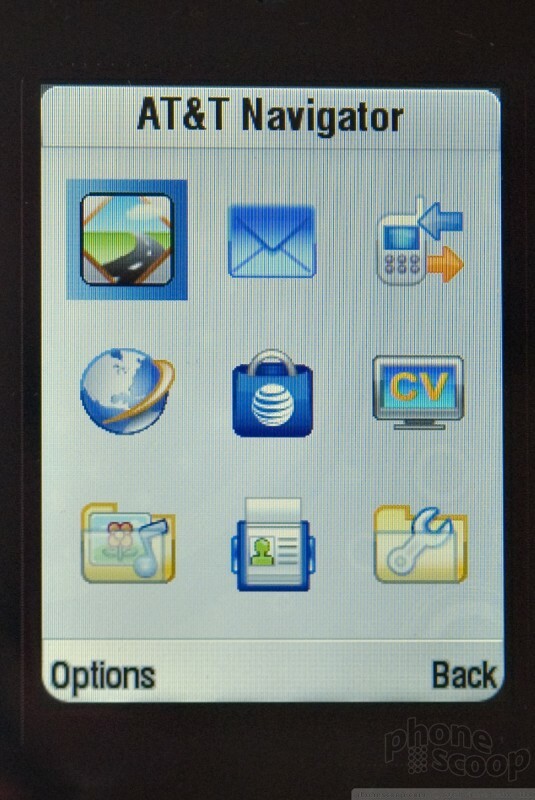 The Z9 does add a few tricks, such as video sharing and GPS that supports navigation services (LBS). 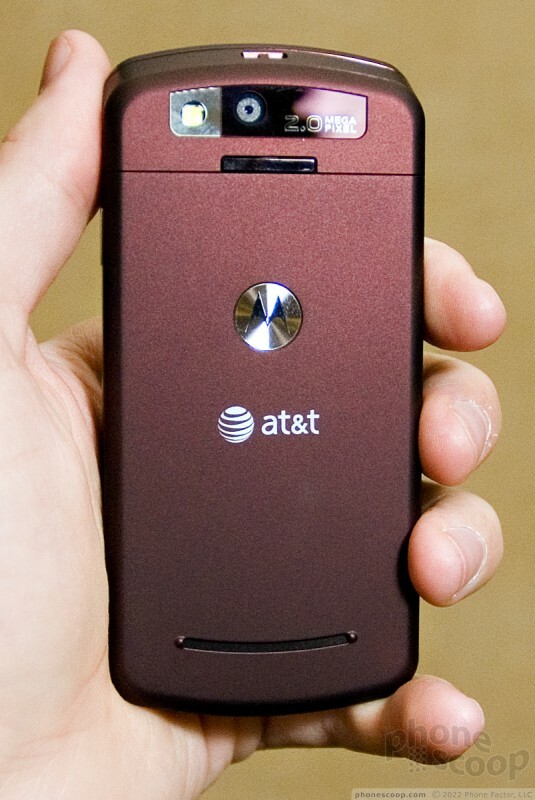 This will be AT&T's first video sharing phone that isn't a Samsung or LG. 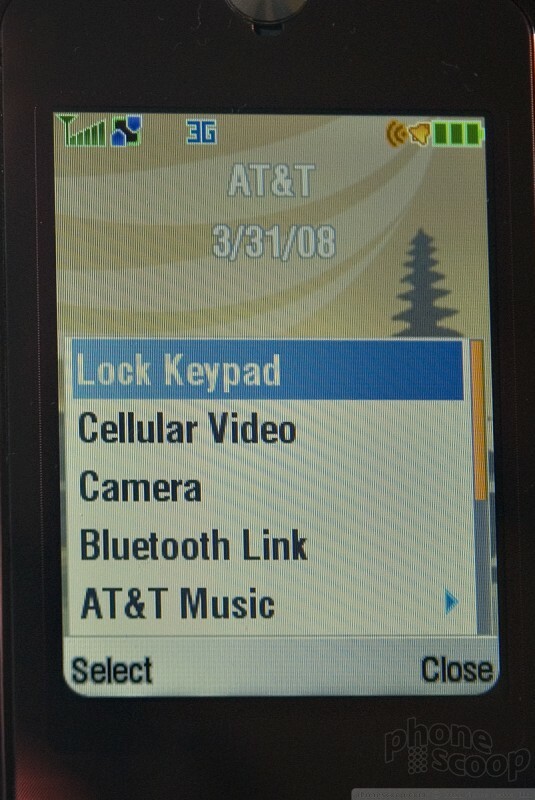 This is also AT&T's first feature phone (non-smartphone) to support navigation software. First impressions of the Z9: it's a big phone. 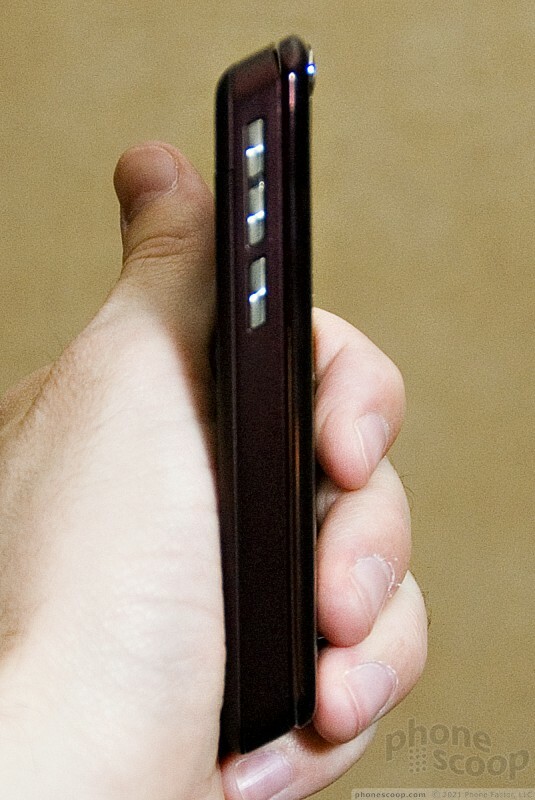 Like the RAZR2, it's a bit wider and taller than your average phone. 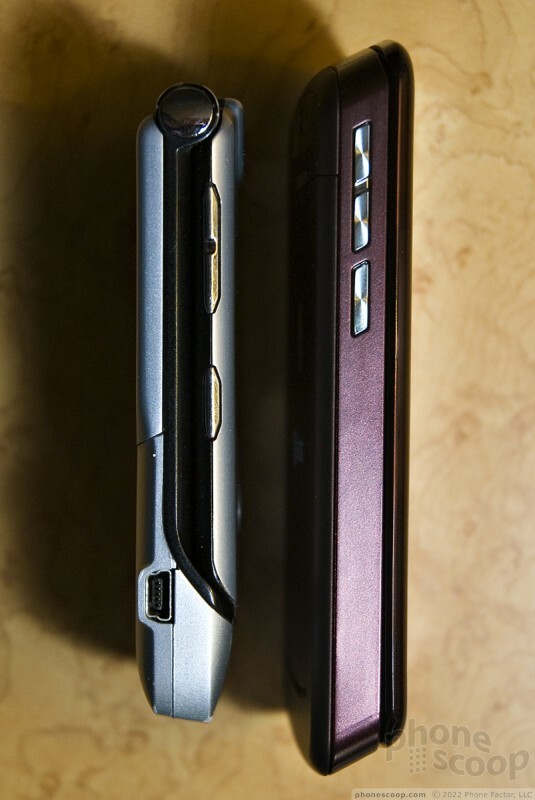 Unfortunately, it doesn't manage the same impressive thin-ness of its clamshell cousin. It feels large in your hand, and a bit heavy as well. It's not "thick", but by modern standards it's not especially thin, either. 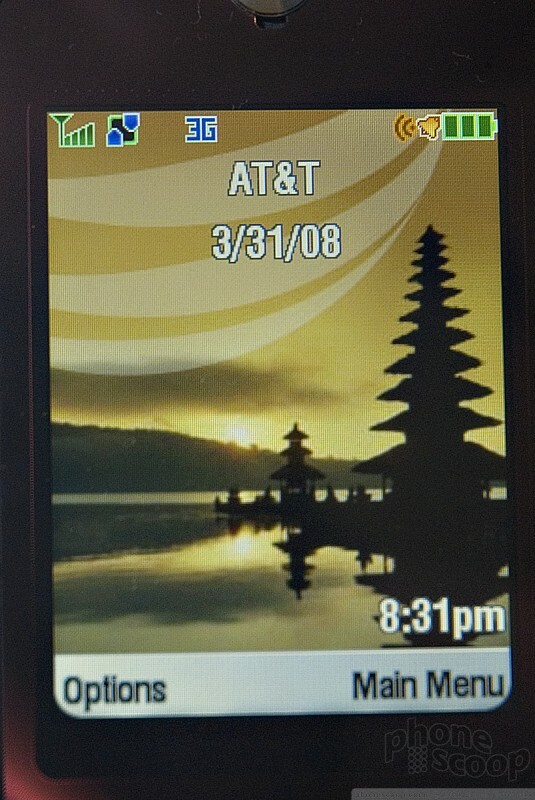 You'd think that with only one QVGA display - instead of two like the RAZR2 - they'd be able to shave some thickness; apparently not. If you can get past the size, though, there's a lot to like. It feels solid and very high-quality. The slide mechanism is excellent. The screen is huge and lovely. It's as much of a finger print magnet as it looks, but the same can be about most stylish phones these days. The keys look like trouble, but they're surprisingly easy to use. The little chrome bumps are just pronounced enough to not miss, yet low and smooth enough to not be uncomfortable. The size of the phone is an advantage here: having the keys so spaced out goes a long way toward making them easy to use. Even the odd-looking soft keys and d-pad did not give us any trouble in our first few hours of use. The 2 megapixel camera seems to produce decent photos. 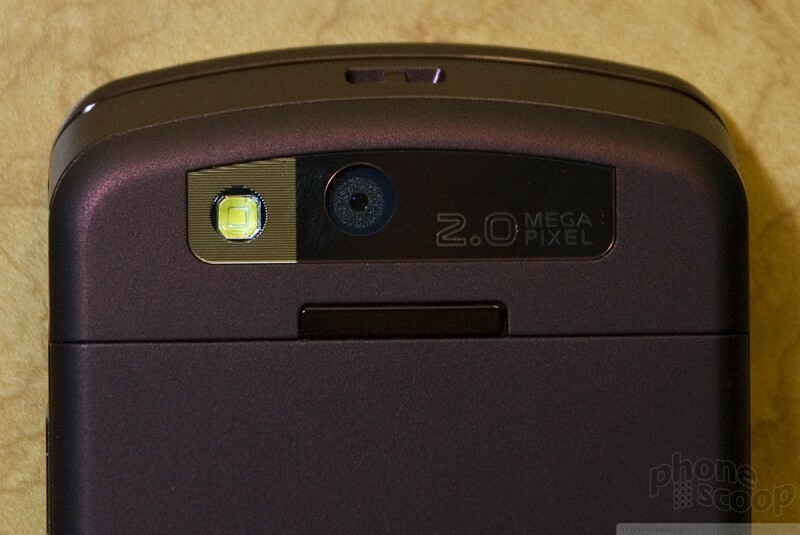 It's certainly above-average quality for a Motorola. A very bright LED flash helps in low-light situations. Unlike some smaller LED flashes, this one is actually useful. The camera UI is excellent, providing easy access to all key functions. It works in either landscape or portrait mode, depending on whether the phone is open or closed, respectively. The viewfinder is always completely full-screen, and photos are always captured and stored exactly as seen in the viewfinder, with no unexpected cropping. 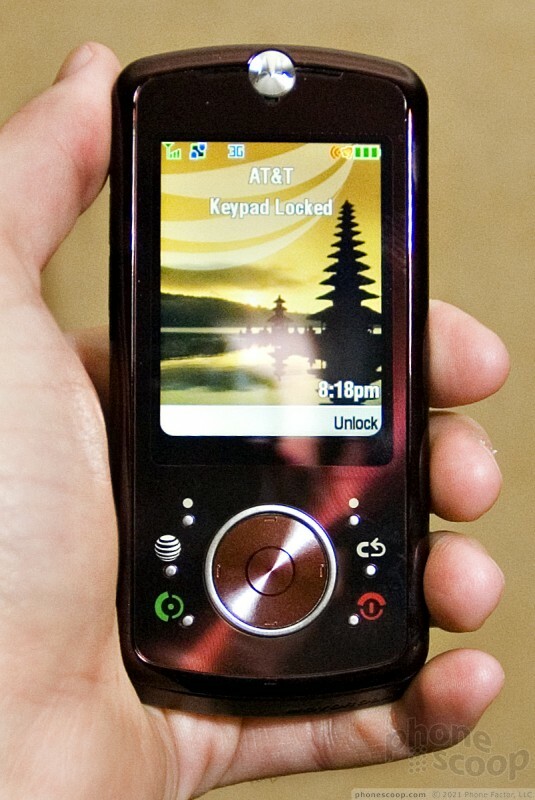 The user interface is Motorola's older "Synergy" platform. 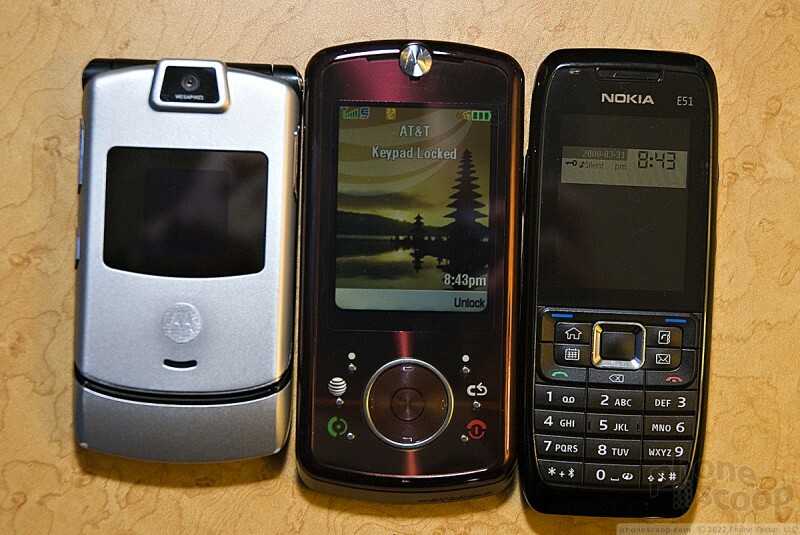 It will look familiar to any long-time Motorola user, but Motorola has continued to tweak and enhance it. The graphics don't like nearly as dated as past Motos, and many menu actions are now accompanied by some kind of nifty animation. 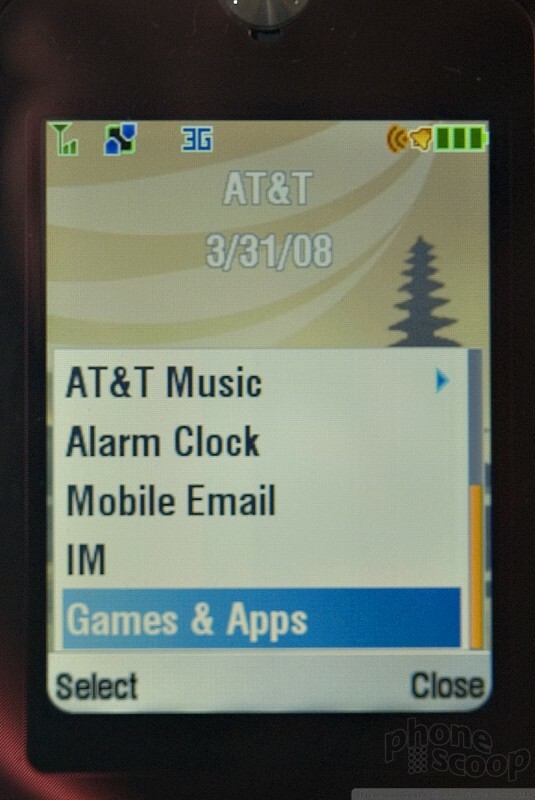 The main menu has a fade-in effect, and some menus and alerts slide or zoom on and off the screen. A very speedy processor means menus are extremely snappy; everything happens pretty much instantly. All in all, the Z9 leaves a mostly positive first impression. 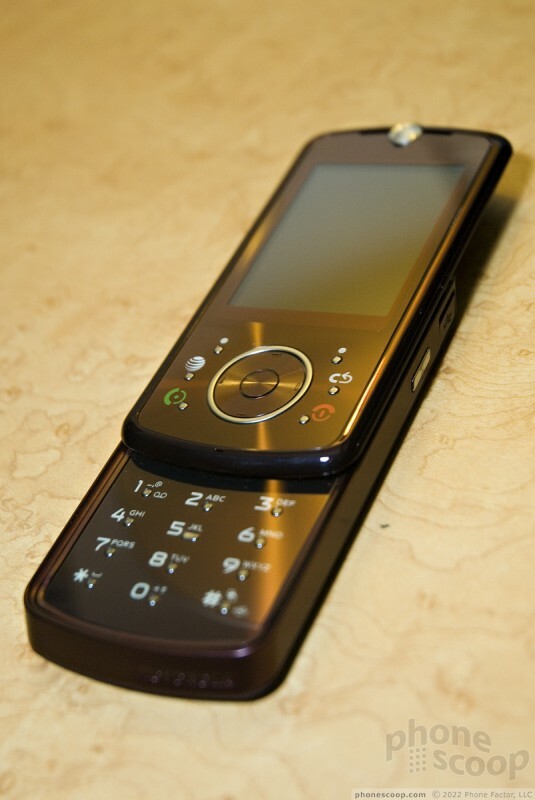 It's a powerful phone with no obvious flaw in its implementation. The one catch is the size and weight. It will fit fine in just about any pocket, but the weight won't let you forget it's there. On the flip side, the size does allow for a huge display and well-spaced keys. The interface also features very large text in all areas, in an easy-to-read font that is anti-aliased (smoothed) for extra clarity. For those looking for the largest keys and display text possible, the Z9 will be worth a serious look. Sanyo's latest Katana phone slices into the entry-level competition with style but not quite enough substance. We take two QChat-enabled walkie-talkie phones for a spin to see how well the new DirectConnect technology really works. Does it hold a candle to iDEN? 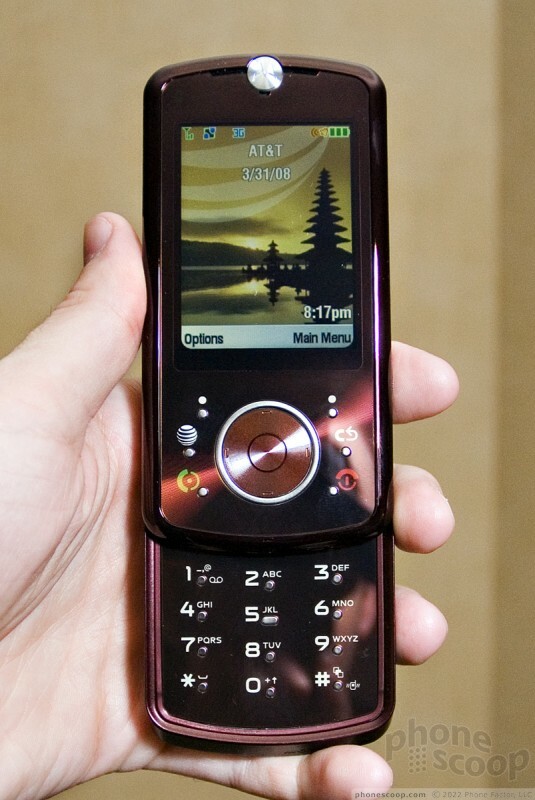 Successor to the popular enV, the enV2 pares down on the size and makes improvements on the hardware. The only thing preventing it from being a superb phone is the software. 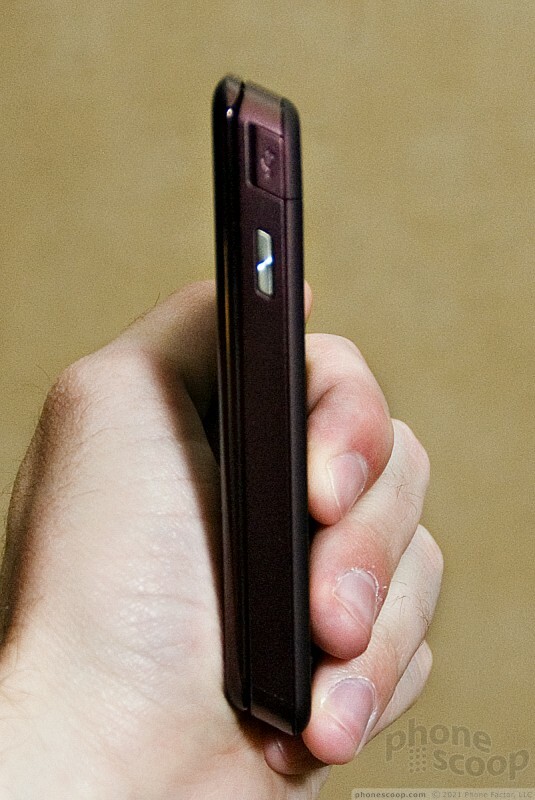 The Motorola Z9 is the slider version of the RAZR2 series. 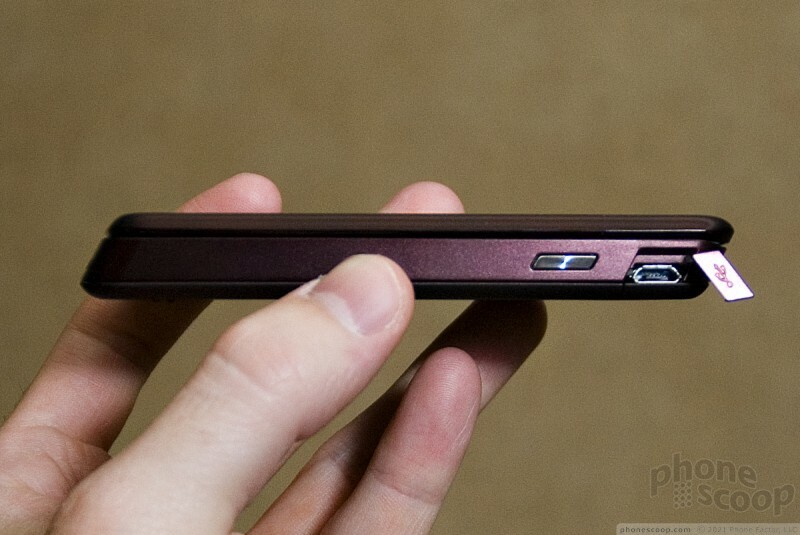 This capable phone brings style--and sheer size--to Motorola's slider line-up. one of the best phones to be available in the market. No. They were showing off the Xperia X1, but that's not really new. They still haven't launched the Z750 that they announced at last year's CTIA, so they didn't really have much credibility to launch new models for the US. That's pretty much what we were told... They did say that it has been upgraded at the last minute to be quad-band, but not to hold our breath for an official US release. I'm sure it will be available unlocked online, though. It's pretty much up to the carriers. Maybe they are just going to become a brand name as opposed to all of those ridiculous stores selling 3000 dollar massage chairs, lol. Kinda like when sega stopped seling gaming machines, but they still make games under the sega brand name. Their focus has always been on affordable voice service for consumers. They leave the really high-end and enterprise stuff the other guys on purpose. They're a foreign company that rely on over seas calls and haven't change in years. They now just follow AT&T on their technology in the US. We covered all of the new LGs. The Vu and Glimmer were the slick ones. No, no new sliders you haven't heard of. Granted it is one way only for video, but I hear it's pretty cool. Probably never. Who really wants it? Sure it's nifty, but is it actually useful to anyone? I don't care to see the people I'm talking to, nor do I care for them to see me. Ah... that's what happens when you write this stuff at 3am after a long, exhausting day. 🤭 The video is shot... we'll post it tonight. Sorry! I'll wait to see it in person tho, because I'm concerned it's still a little on the big side. I wish they would put a hold switch on it, too. I can't stand candybar soft keypad locks.